Keira Knightley is set to marry her rock star boyfriend James Righton. The Pirates of the Caribbean actress has got engaged to the Klaxons keyboard player, who she has been dating since April 2011, her representative has confirmed. 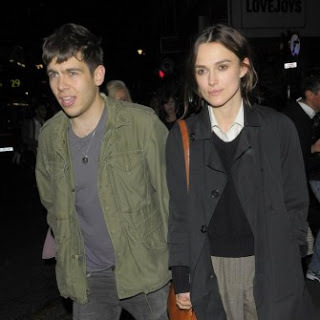 Keira's spokeswoman said: "I can confirm that Keira is engaged to be married to James Righton." No other details about the engagement are known at this time. James recently moved in to Keira's £2 million London home, which she bought following her split from long-term boyfriend Rupert Friend in December 2010. 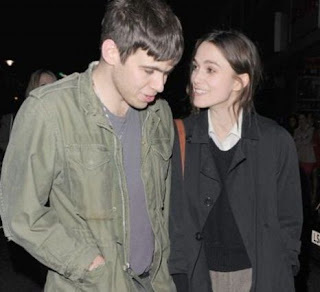 A source said in April 2012: "Keira suggested the idea and he moved his stuff in a couple of weeks ago. They want to get a puppy. It's all pretty serious." The couple have also recently been house-hunting for a country home. Keira - who is worth in the region of £30 million according to the Sunday Times Rich List - was spotted looking at estate agent details in a tea room close to where Johnny Depp bought a 13-bedroom mansion in 2011 to use as his UK base. The 27-year-old screen beauty - who will next appear in romantic comedy Seeking a Friend for the End of the World - recently said she believes stars should keep their private lives to themselves. She said: "I hate knowing too much when I'm going to the cinema and watching as a viewer. I don't want to know that the actor has just gone through a divorce. I don't don't want to know that the person is an alcoholic. It just gets in the way of my pleasure of watching the character."